Last time we shared our work we were pleasantly surprised when folks mentioned they liked to see our creative process and understand more about what we do professionally. No, we aren’t full time bloggers or super humans; yes, we still need sleep, and we rely on freelance work to fund our lives, this blog, and Paris Lectures. We love making beautiful work that helps people with their objectives. 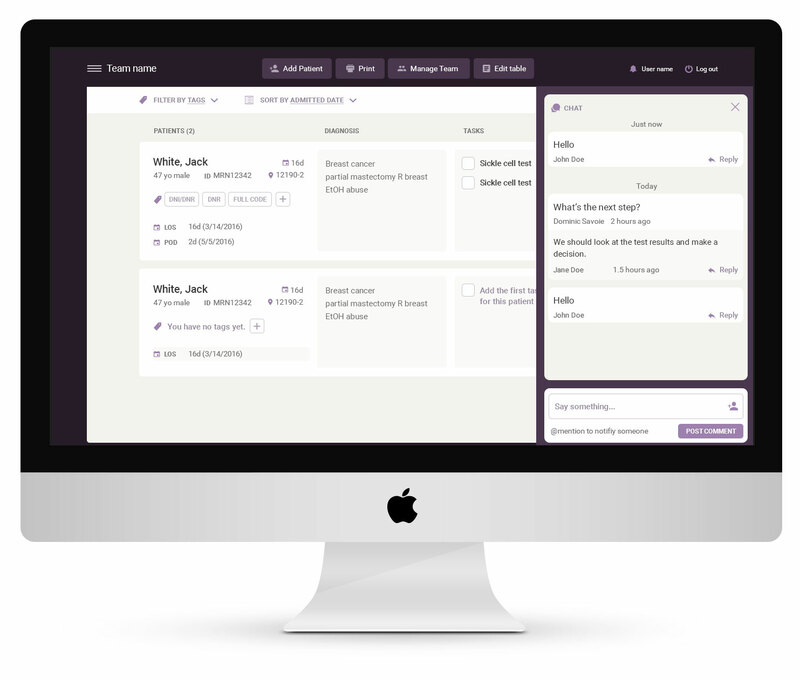 In that vein we wanted to share another recent project in which we were tasked with designing the branding and user interface for a healthcare mobile and desktop app. In a former life, Cassie worked in healthcare at Toronto General’s innovation lab. There, with the incredibly smart and dedicated Human Factors team, she designed interfaces for mobile and desktop apps designed to help people stay healthier, tackling difficult self-care apps for chronic diseases like asthma and diabetes. It was a world of high impact and slow-moving parts; often apps would be designed then require several years of testing before they could be used by the public. But this made sense: A well-designed app could save lives. A poorly designed one could end them. 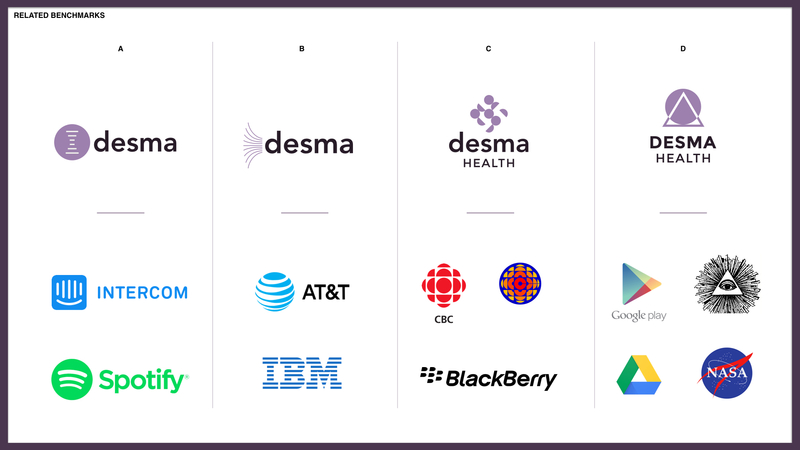 While at Toronto General Hospital she helped coordinate Toronto’s first Hacking Health event, a hackathon designed to unite physicians and healthcare providers with designers and developers, groups of people with special skills that tend to be siloed. We became friends with the two guys from Montreal who founded the series, Dom and Jeeshan. While Jeeshan was working on his M.D. 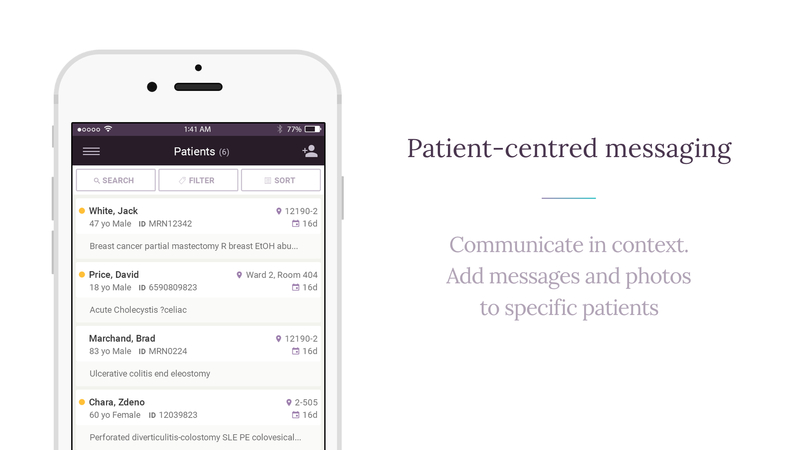 (yes, he might actually be superhuman), they started a company together to improve medical team communication and patient documentation. For anyone familiar with the health system, that is a hairy problem indeed. 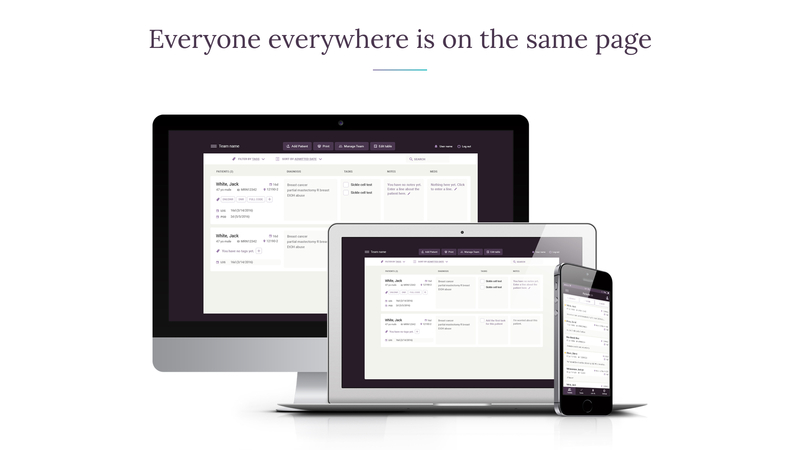 They were successfully funded by the well-known venture capitalist firm Y Combinator, and after a year of the start up life they were looking to take their app’s design to the next level. We began the project with a renaming exercise. 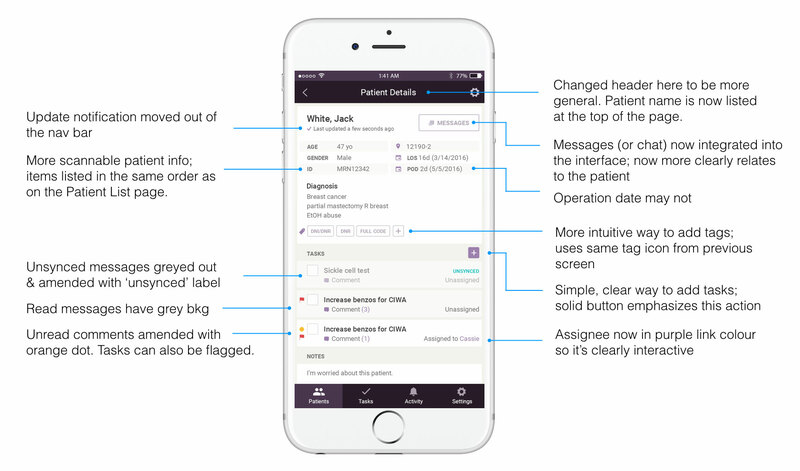 The app’s original name was Listrunner, a reference to medical teams that physically print (or “run”) their paper patient notes (or “lists”) several times a day when regrouping for their rounds. We thought the name was great, but it was focused on the wrong audience for their business plan which required an appeal to hospital administrators. 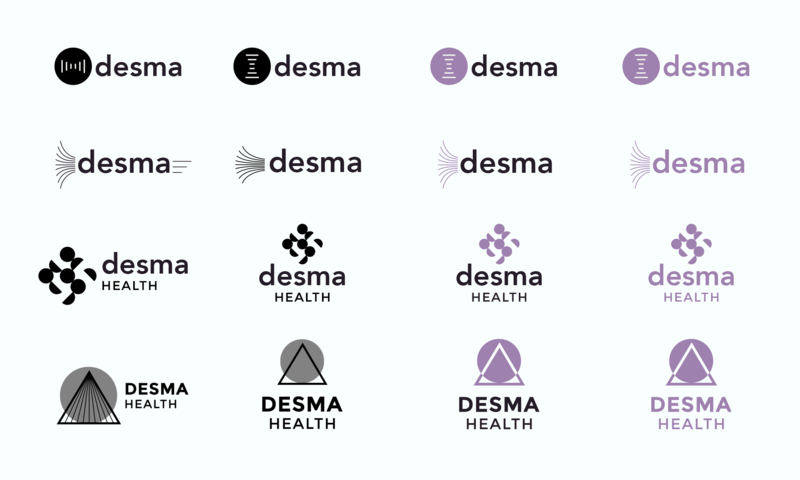 After much deliberation we settled on Desma Health for the new brand. 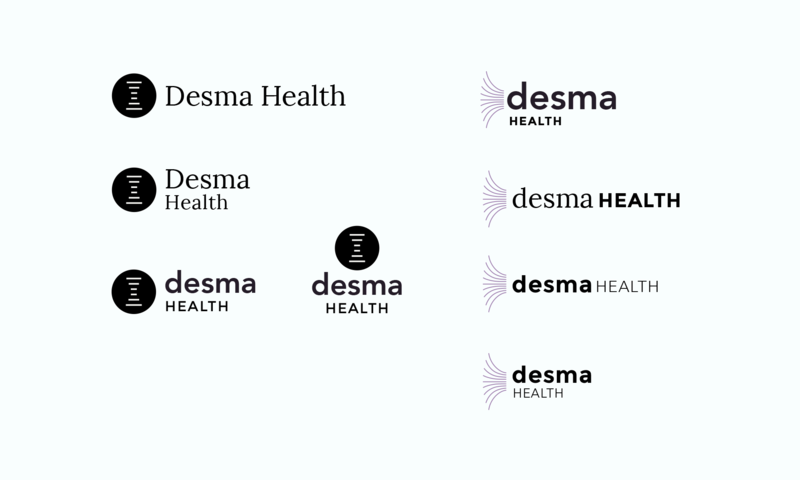 In medical terminology, “Desma” is Latin meaning “something bridging or connecting”, which spoke to the team’s ambition to sync communication efforts. Also, crucially, the domain and social media user names were available. During this process, we looked hard at competitor sites, analyzing both their design and business strategies. 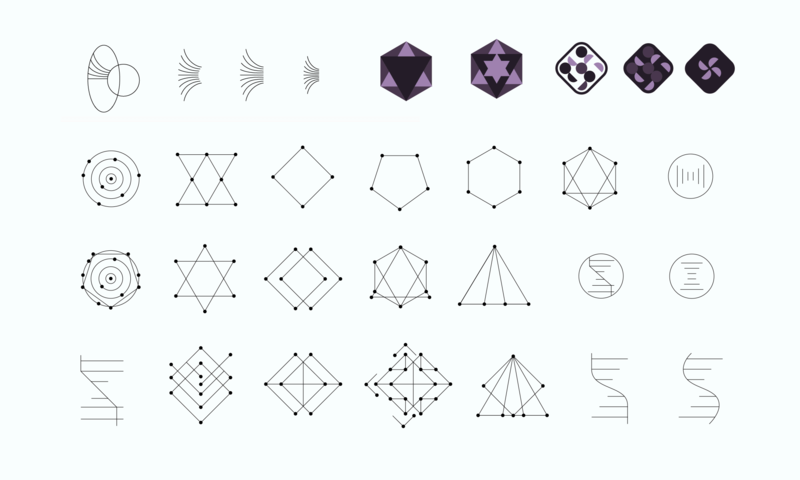 We learned from this exercise both what we wanted to replicate and what we didn’t and why. 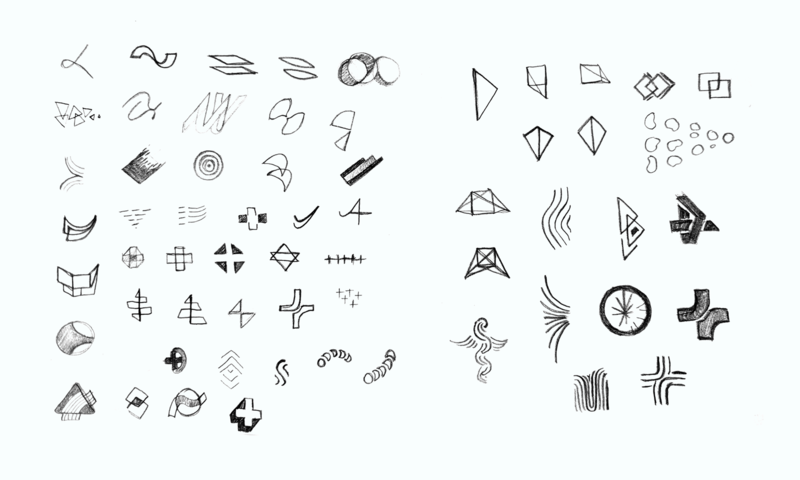 This step is also crucial because it allows the client and designer to develop the same visual vocabulary, teaching each other what subconscious and conscious preferences we may have. Part of this included really nailing down our audience personas and how the new brand would appeal to them. 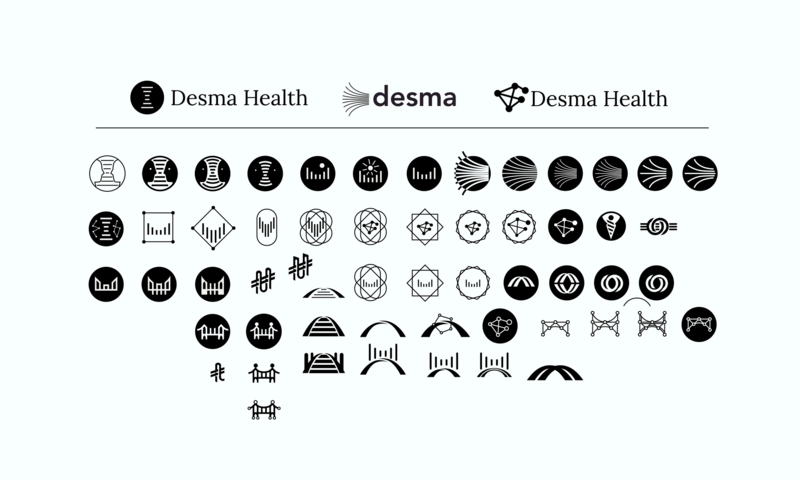 Next, we developed a moodboard to begin fleshing out the practical design solutions for the new Desma brand. 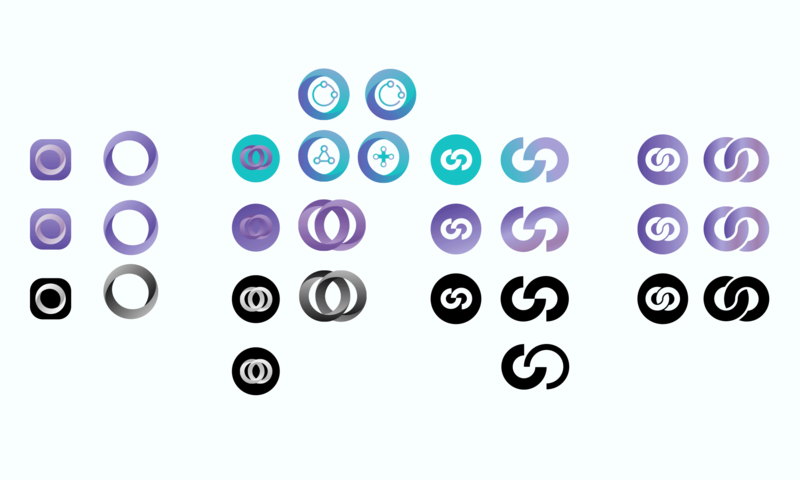 A well-designed brand synchronizes every aesthetic decision – colour, typography, imagery, even language, and this is often easiest to establish when done upfront (‘correcting’ bad branding can be much more difficult once the direction is already out there). We realized that to appeal to hospital administrators and achieve the slick, professional and somewhat traditional qualities we were after, we needed a mark that was classic and bold but not too wild. The “Swiss” design approach held the perfect inspiration. Then, the real work began. Mark after mark after mark. Drawing after drawing after drawing. Some logos will hit you like a bolt of lighting, but most of the time good ones are simply a reflection of the designer’s tenacity. Each round of drawings must be analyzed and torn apart to figure out what’s working and what’s not until you get to a stage where the design is ‘mostly’ right. 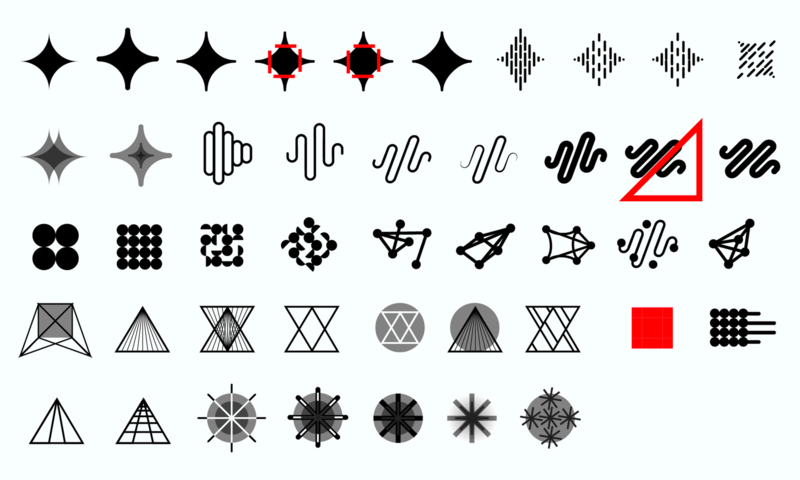 Branding is an extremely subtle art for both the designer and the viewer, so finding the right mark often takes a lot of time. We went through four rounds of presentations and hundreds of iterations with this particular logo which is not at all unusual. 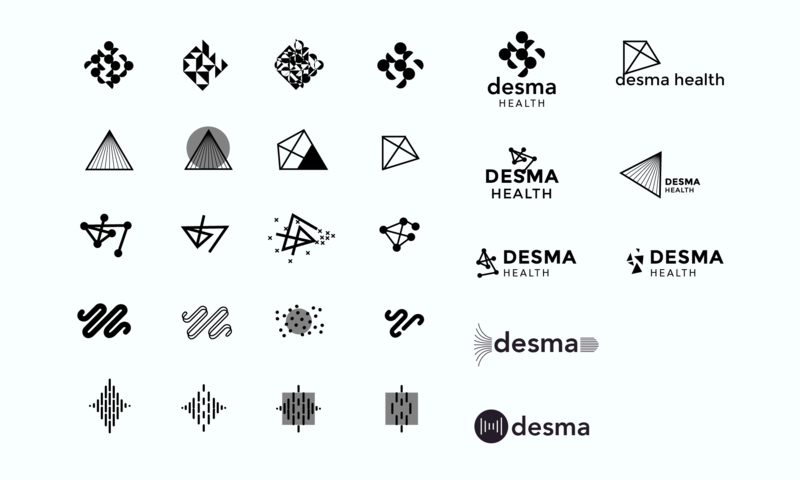 Our final mark comprised of a 3d infinite loop, a conceptually sound, abstract shape referencing Desma’s aim to “complete the loop” between doctors, admins, and patient care. Inline with modern trends, it is flexible and versatile in colour and shape. 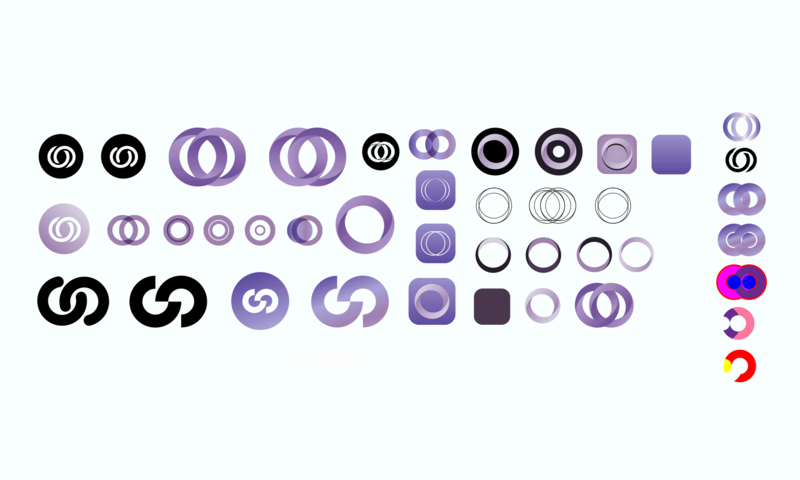 The lockup works in a variety of orientations, it’s still recognizable at various sizes, and icons and shapes can be added later when the brand is ready to grow. Finally, we went with a serif typeface to emphasize the reliability of this brand, a vitally important trait to demonstrate to the target audience. The final part of a branding project like this is often the most fun: we get to work to see it applied in real life scenarios. In this case, we designed both a sales presentation deck for Dom and Jeeshan as well as a redefined user interface for their main product, their Android, iOS and desktop applications. While we didn’t dive too deep into the user experience of the app, simplifying the user interface and applying the new brand did make it more approachable and effective. The nuances of user interface and branding design are highly technical skills we’ve been developing over the last decade. As you can tell, we thoroughly enjoy geeking out over them. Hopefully you’ve enjoyed this small glimpse into our process and as ever, if you have a job for us, let us know!